KoopaTV: The Game Industry's Diversity Problem: A MYTH! Based on breaking minority groups into even smaller minority groups (“women of colour” vs. “men of colour”), coloured people seem to think there is more equal treatment and opportunity than white males think, but women as a whole think it's less and they're dragging the averages lower. Therefore, the IGDA reporters believe that there's more division within genders than ethnicity. Most of the “inequities” people (mostly women) claim to experience were so-called “microaggressions”, which basically means that as a whole, things are going just swell. It's not clear if they ever defined what “diversity” means. Source: Page 24 of the Diversity in the Game Industry Report, copyright 2016 International Game Developers Association. They were then asked about what their company's hiring is like. It's unknown if the folks that actually answered the question know anything about how their companies acquires people, or if that's something only human resources knows. Affirmative Action (top graph) vs. Meritocracy (bottom graph)! The results suggest people just wanted the survey to end already. Source: Page 33–36 of the Diversity in the Game Industry Report, copyright 2016 International Game Developers Association. I believe, since these surveys were taken back when #GamerGate was taking up Twitter trending spots, that a lot of these responses were tarnished by social desirability bias. The report briefly mentions #GamerGate, but makes it seem like people's responses to it were equally positive and negative. I don't think that's the case, and I think people were scared of what could happen to them if they answered the truth, rather than what they felt the (establishment) surveyors wanted. That's how you can get weirdly contradictory and bland answers like the two graphs above. There are ten stock analysts here, and they need to work together to make your portfolio amazing. They all vary in height and tie colour. Despite these superficial differences in appearance, the stock analysts all still came to the same conclusions regarding the direction that the particular stock's price would take. It worked out pretty well, and now I have purchased a golden statue of myself. But what if it wasn't a happy-ending? What if this supposedly “diverse” group of stock analysts all ended up having the same thought patterns and opinions... and the stock tanked in price right after I invested a fortune into it? I would be broke, and this group of analysts would have created a disaster. Even though they all look different on the outside, they all have the same thoughts on the inside. Well, that's not very “diverse”, is it? Diversity in thought is an actual thing that makes a difference in business performance, or any group project, really. Different experiences and beliefs can lead to challenging sub-optimal norms and falsehoods. It can lead to innovative ways of doing things! But breaking people up based on gender and ethnicity kind of assumes that everyone in a certain demographic group thinks the same way. Affirmative action and diversity advocates seem to think that the workplace is like a recipe — if you mix in the correct (according to whom?) proportions of different “ingredients” of people, you'll come out with the best product. It doesn't actually work like that, though, but that won't stop them from lecturing people about not meeting quotas or whatever. Individuals are more than just whatever stratified category you've placed them in, and they're not beholden to that. Every tablespoon of butter may be exactly the same, but not every female Hispanic. What I'm saying is that you can easily have a company of all white guys and be very diverse, since not all people classified as a white guy are the same as other people also classified as a white guy. Diversity is therefore a very collectivist myth, perpetuated by people who wish to set folks against once another — rather than having people work together towards a common goal. Ludwig is aware of the explicit benefits and drawbacks to having a non-diverse echo-chamber, but he prefers the comments section to be on the contested diverse side. Feel free to give a comment about YOUR thoughts on diversity, or anything mentioned in the Diversity in the Game Industry Report, or even the the Developer Satisfaction Surveys. He's read through them all, so he'll be at least somewhat familiar with whatever you're talking about. To compare developers and their consumers, take a look at this political-view survey conducted by the Entertainment Software Association. Well, I suppose that by having diversity, one is trying to counter long-standing societal biases, or something like that. Your view about people having more opinions and experiences than just the assumptions one makes about them based on their ethnic group makes sense, though. I mean, how many boxes can you put people into before it starts getting ridiculous? I haven't read through those who documents yet, so idk what other points they make bring up in there. 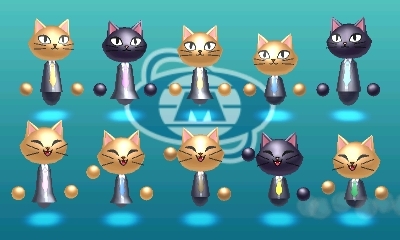 By the way, StreetPass Mii Plaza: Market Crashers. Great taste, that game's a hoot. It's not the function of a business to try to counter societal biases. Businesses exist to make a profit, preferably by providing quality goods and services. It doesn't matter what the make-up of the team that churns that out is like as long as they can work together fine, and more diverse people are less likely to be harmonious. If you want to do social experiments or want to initiate some kind of justice, for-profit businesses aren't the place for it. Neither is the military, just want to add. Businesses are supposed to be in cutthroat competition! It always drives me crazy when people take a specific group, whether it's race, gender, religion, or whatever, and describe them as though they're a singular entity with the same thoughts and opinions. Pft, what a white female Catholic, always being driven crazy! They are always doing that! One of the chapters I had to read for an intro course into college focused entirely on diversity. It states that "discussions of diversity often focus on characteristics commonly linked to race- differences in skin tone, facial features, and hair texture. But grouping people according to such differences is arbitrary. We could just as easily classify them on the basis of height, weight, foot size, fingernail length, or a hundred other physical traits." I was tempted to classify the stock analysts by the fact that half of them are happy to be there, and the other half are neutral... but that actually WOULD be a performance-related trait to point out, so I didn't.